Basketry is literally baskets or methods of making baskets. It also means products made by plaiting botanical material like bark,vines ,bamboo and grass. It varies from products like baskets used to carry or store things, to rain capes. The methods and materials were combined according to their utilitarian purposes. 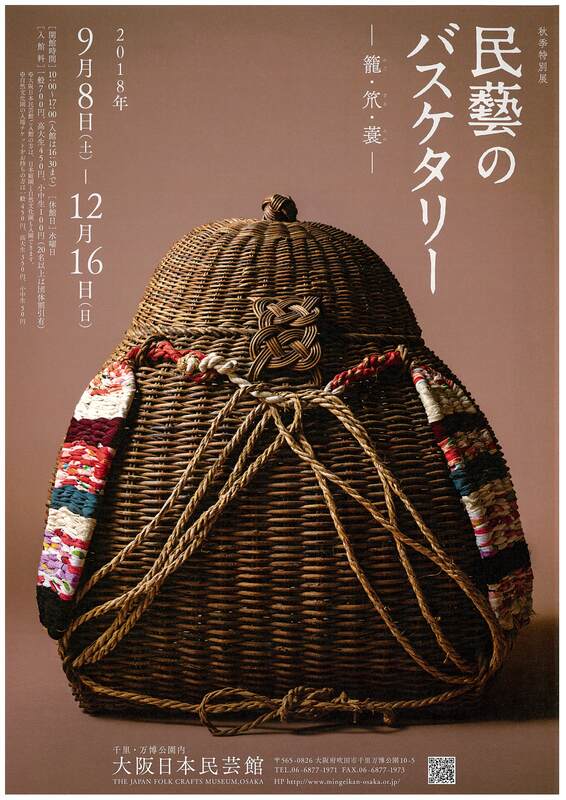 Basketry has long history and some dates back to ancient Jomon era(14,000 -300 BCE). differed between regions, each piece bears the unique characteristics of its origin. ‘Minokera folding screens’,’Bandori folding screens’ made by master dyers Keisuke Serizawa. We hope you enjoy the beauty of folk art derived from daily life of Japan.